Movement in sky-bound sylphs, trailing blood, blood vibrates in sympathy. Random motion of molecules, atoms, ions, electrons, thought, Moonchild of a sanguine temperamentAmorous, cheerful people, energy in motion, by the light of the moon and in darkness. Between the atmosphere and outer space exists no distinction, no point of separation. The atmosphere gradually loses density and fades into space, but the energy flow, the breath of all being is constant. Sounds of yellow and violet adorn the magickal blade thrust outward. We are made from the earth, but symbolise air, the upper left point of the pentagram. A convergence of creative paths crossed in the final days of Manes, pointing to the inevitability of the birth of kkoagulaa. The projects inception is an answer to the restrictions placed upon bands of any genre. 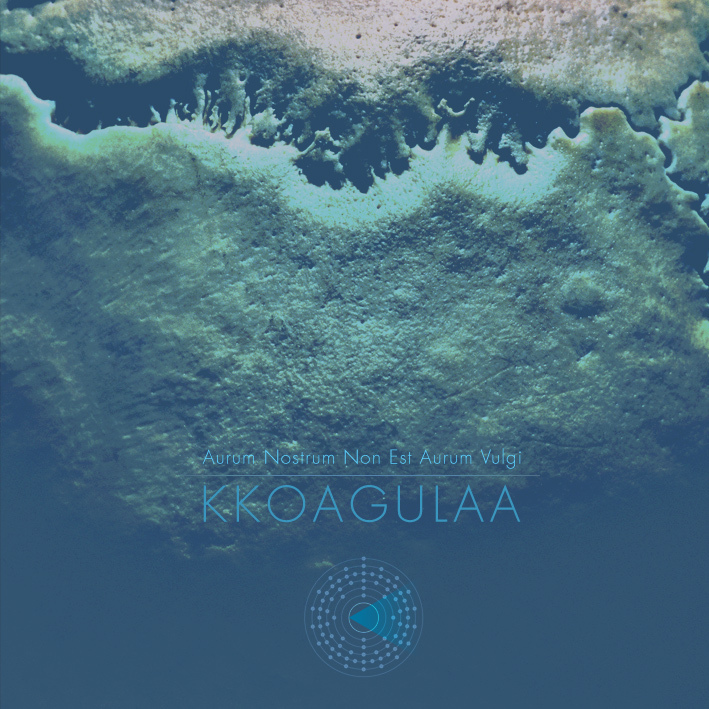 When it comes to stretching out beyond genre considerations, kkoagulaa represents what happens when the walls between modes of expression are forgotten. Central visionary ccernn, began with gathering the kkoagulaa kkollektivv of likeminded creative people: eemersonn (Choronzon, Veil of Thorns) and vvindd (Atrox). The next layer to be added around the kkollektivv is the kkontributorr kkaball consisting of hatlen, hoemsnes (The 3rd and the Mortal), trstn (Chton). The mission of kkoagulaa is to work in an expanded range of media and even to step outside conventions of what constitutes avant-garde art and music. The art of kkoagulaa is the embodiment of art called into question, and the answer. Brought into focus through a heaping of phases of history, kkoagulaa is the deconstruction of art and a distillation of the soul found at the creative center. As the canon of rock music and prevailing sub-genres crushes the possibility of revelation, and certainly any pretense of revolution, the ubiquitous elements of the medium are examined. Emerging from a history of leading and defining genres and movements like Avant-Garde Metal, Post-Blackmetal, Psychedelic Industrial Blackmetal and Post-Rock, kkoagulaa has truly moved beyond genre, genre hybrids and the now common game of the mix-and-match patchnwork approach so often called progressive or avant-garde.